MOSCOW, June 12. /TASS/. Moscow is positive about the results of the US-North Korea summit for settlement of the Korean Peninsula issue, Deputy Foreign Minister Sergei Ryabkov told TASS, adding though that details of the reached agreements are important. "As of now we cannot but welcome the fact that an important step forward has been made," he said. "Devil is in the detail, of course, and it is necessary to understand the specificities. But as we understand the impetus has been provided," deputy minister added. 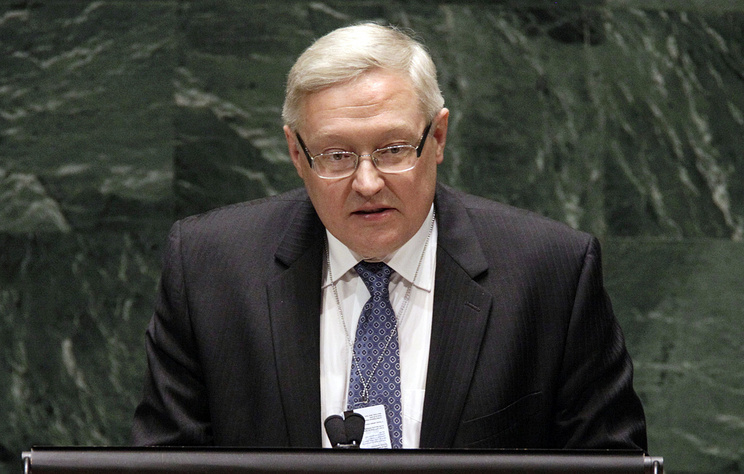 According to Ryabkov, Moscow expects the six-lateral negotiating format on settlement of the Korean Peninsula issue to become relevant again, which will help reach concrete results in this area. "We, together with Chinese friends, together with other participants of what used to be called six-lateral talks, are looking forward to getting this format relevant again, and will continue working towards a result," he said. The diplomat added that Moscow has always welcomed any steps aimed at denuclearization of the Korean Peninsula. "As before, the Russian Federation will be making political, intellectual, practical and creative contributions to the settlement of problems (of the Korean Peninsula - TASS)," he said. The historic meeting between the US and North Korean leaders, Donald Trump and Kim Jong-un, took place at the Capella hotel on Singapore's Sentosa Island. After the meeting the leaders signed an agreement, which Donald Trump called "very important" and "pretty comprehensive".